Seventh Circuit Judge Janine Kern of Rapid City is Gov. Dennis Daugaard's choice to replace retiring Supreme Court Justice John K. Konenkamp. Daugaard announced Kern's appointment Tuesday afternoon. Kern, 53, will become the 49th justice in the history of the South Dakota Supreme Court. This will be the first time in the state's history that two women have served on the five-justice panel. Justice Lori S. Wilbur was appointed in 2011. Kern will be the third woman to serve on the state Supreme Court. "We have a very good legal system in South Dakota, and it's a privilege to have served and to be given the opportunity to serve now on the appellate court," Kern said Tuesday, during a brief break from a busy day in court. She learned of the appointment only hours before the Daugaard issued an announcement. Konenkamp, of Rapid City, is retiring after 20 years on the Supreme Court. Kern said it is an honor to replace him as the representative of the 1st Supreme Court District which comprises Custer, Lawrence, Meade and Pennington counties. "He is a man of great intellect and integrity," Kern said. "His are big shoes to fill. I will try my best to apply the law fairly and approach cases with an open mind." Kern leaves the 7th Circuit after 18 years. She was appointed to the bench in 1996 by Gov. Bill Janklow. She was unchallenged in elections in 1998, 2006 and 2014. The 7th Circuit covers Custer, Fall River, Shannon and Pennington county. The very busy circuit has been an excellent training ground, Kern said. "My 18 years here have given me a broad base of experience," Kern said. A Lake Andes native, Kern graduated from Arizona State University in 1982. 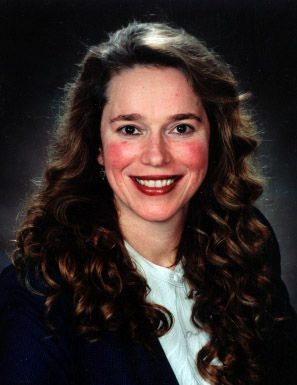 She earned her law degree from the University of Minnesota in 1985. Following law school, Kern worked for 11 years as an assistant attorney general in Pierre, serving under three attorneys general: former Justice Mark Meierhenry, Roger Tellinghuisen and Mark Barnett. She also worked alongside former Attorney General Larry Long when he was the chief deputy attorney general. "I learned a great deal from each one of them," Kern said. Kern followed her father, retired Judge Paul J. Kern into the law and public service. He served as a circuit judge from 1975 to 1995. "I knew early on that I wanted a career in the legal profession," Kern said. She has already asked her father to swear her in at the appropriate time. He also did the honors when she assumed her 7th Circuit seat. Throughout her career Kern has taken a special interest in legal issues involving children. She has served on the state advisory board of the Council of Juvenile Services, the Federal Advisory Committee on Juvenile Justice, the Division of Alcohol and Drugs Advisory Committee, and the Judicial Performance Evaluation Committee. Kern has also filled in on the Supreme Court as a temporary justice on several occasions. Contact Andrea J. Cook at 394-8423 or andrea.cook@rapidcityjournal.com. Journal correspondent Bob Mercer contributed to this story.